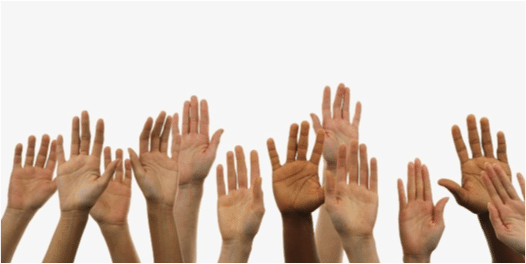 Raise your hand if Yik Yak has personally victimized you, a friend or organization? 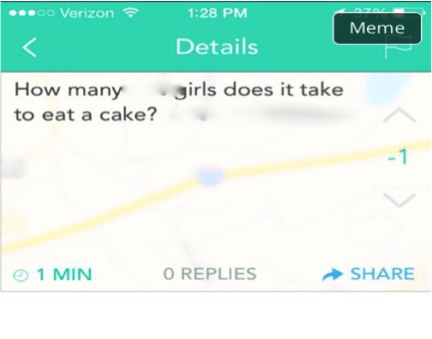 Have you ever noticed who gets targeted on Bloomsburgs Yik Yak the most? Greek Life, and I’ll never understand why. I’ll admit it, I downloaded this app when it first hit Bloomsburg’s campus, but when I saw how degrading it was, I deleted it. A lot of my friends still have the app, and from what they have shown me it makes me question why I chose this school. 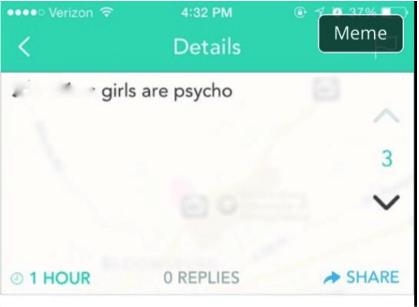 I’ve even had a friend say she wanted to transfer schools because of the posts on Yik Yak. I never knew people could be so harsh, especially towards such a positive organization at this University. I joined Greek Life my second semester freshman year, and two years later I am still so happy with my decision. I understand it’s not for everyone, and that’s fine. 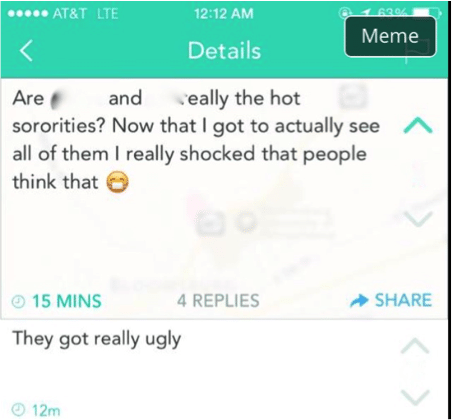 However, if people enjoy being in an organization on campus, why are people ridiculing it on an anonymous app? All of these Yaks about Greek Life are extremely negative and dishonest. Who is behind all of this? We will never know, so we can’t point fingers. However, I can tell you that Greek Life at Bloomsburg is a strong community. We stick up for one another. We know what goes on within the community. We do a lot of work within the university that people over look, and we do that work together. Each organization has to complete 500 community service hours per school year to keep a flag up in the Kehr Union. Individual chapters also have their own philanthropies that they hold activities and raise money for throughout the year. We also like to have a good time. Being a part of Greek Life is fun. It creates life long friendship with amazing leadership opportunities. Anyone can easily join. Are we really that bad? Some of the sororities and fraternities here at Bloomsburg have been here for over 20 years. Thousands of alumni are a part of these chapters, and many of them even founded the chapters. 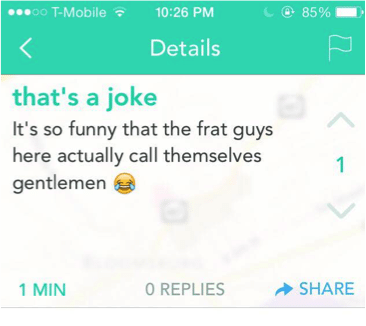 I absolutely hate seeing Greek Life get ridiculed after all of these years of hard work. Really? Why in the world do people believe anonymous posts? Not only has Greek Life been affected, but I have also seen people’s names used. Do you know what this can do to a person’s self-esteem? We as a student body cannot be doing this. Some students are more sensitive than others. People take what you say on that app to extremes, and before you know it, it can be too late. I will never understand why this app was started or why it still hasn’t been removed from social media. 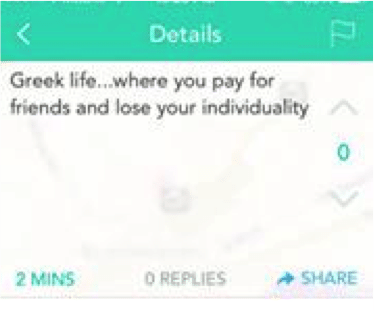 As a member of Greek Life, I encourage other members of the Greek community to delete this app. We have such a positive community as it is. We don’t need an app telling us how we act, what we are, and what we do. 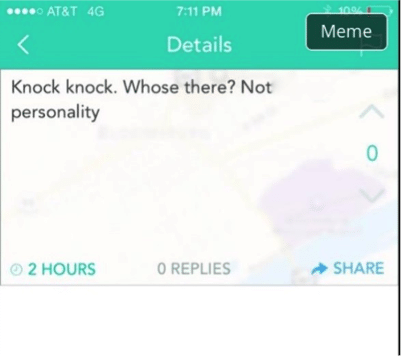 Bloomsburg University would be a more positive place without Yik Yak. Take a step in a positive direction and delete the app or hold yourself accountable to the things you say. If you would not say what you are posting anonymously to someones face, don’t say it at all.